The question we all get asked when friday comes around is "what are you doing this weekend?" This saturday I didn't have the answer and it felt good. There is nothing wrong with not having anything planned sometimes. Let's face it the summer months are normally crammed with birthdays, weddings, festivals, holidays and now and again doing nothing comes as a relief. This morning I was an early bird which for anyone that knows me is not like me. As much as it pained me to hear my alarm on a saturday after the initial struggle it was a nice realisation that I had the whole day in front of me. So I went and got my dreaded roots sorted and it always is a lengthy process but I opted for 'leaving it to naturally dry'. I am trying to be as kind to my hair as possible in this weather. (She says after lashings of bleach ... sorry) As l do really like the whole undone look for summer. 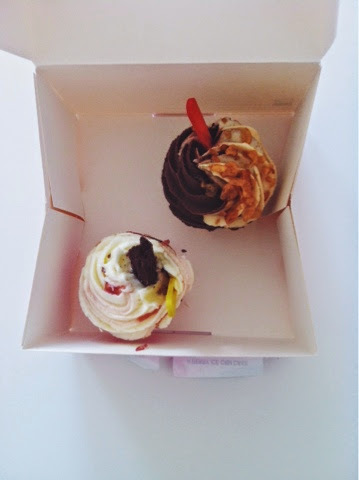 We had a little trip to Waitrose and got some beautiful cupcakes in the style of ice creams they even had an adorable mini spade as you would at an ice cream parlour on holiday. Weekend treats are always something to look forward to as I love food and attempting to get a beach bod during the week seems to fall by the way side when those two lovely days come along at the end of a hard slog at work. I caught up on reading, cleaning and all those little things you push aside when busy. Then to bump up the calories a little more we had pulled pork baps one of my favorite meals and I have got to say a 'doing nothing' day is nothing to be ashamed of. I think everyone deserves to sit on their bum when they find a empty calendar day. 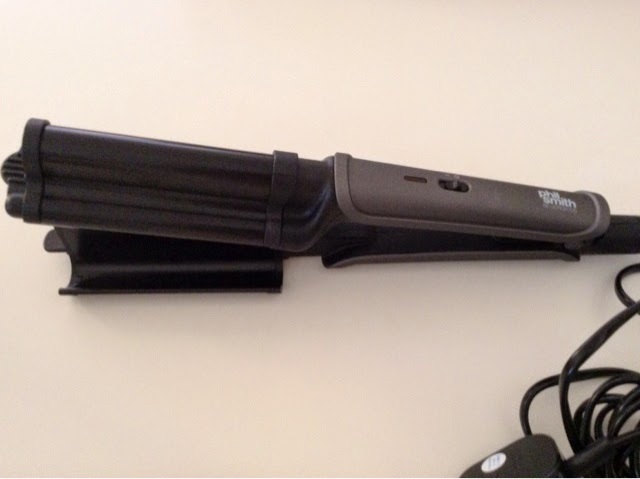 I had the Phil Smith deep barrel waver for my birthday but I hadn't got round to using it, so this weekend I thought I would give it a go. I found that it heated up really quickly which Is handy for me as I am super inpatient. Although it is pretty bulky so I found it a little difficult to put down anywhere when hot. It is self explanatory to use, partition the hair into sections and put the waver closest to the root to start then press down for a few seconds then repeat moving it further down the already waved section until you get the look you are happy with continuing this round your whole head. What I did like about this waver was that I could miss out sections and it gave it that undone look to my hair. Also that the waver would style the sections of my hair within minutes. When I first looked in the mirror after using this I was a little frightened that I looked like I was twelve again but after I ran my fingers through it, added some taming spray and pulled it to one side I instantly loved it. I felt it looked really beachy and I can't wait to re do this look again and again this summer. What's your favorite look this summer?